Cape Town - The National Hijack Prevention Academy (NHPA) has released a list of hijacking-hotspots in some major SA cities. The organisation's latest list shows hotspots in Johannesburg, Pretoria, Cape Town and Durban. 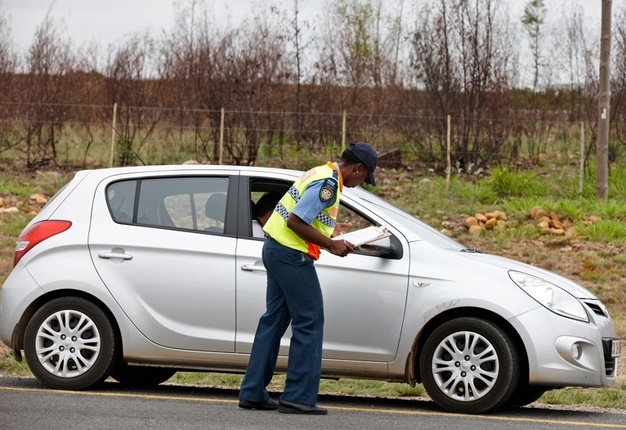 How prevalent is vehicle crime in SA? Carjacking has increased by 14.3% in all provinces, according to the 2015/16 annual crime survey released by the South African Police (SAPS). Carjacking was highest in Gauteng. Arrive Alive's Johan Jonck said: "The Crime Statistics released by the Police for 2015-2016 reveals an alarming upwards trend in numbers of carjackings. It is important to share with our road users where the so called 'hotspots' are. These are areas where these incidents occur with more regularity. "We would like to emphasise the need for caution among road users and also offer some suggestions to increase vigilance on our roads. Even though there are no guarantees to safety - we belive road users could be safer when being more vigilant on the road and by driving non-distracted." • Voortrekker Road between Bellville and Parow. • Corner of Military Road and Prince George Drive. • Be alert when driving along St Stephens Road. • Be alert when driving along Alice Street, especially near Voortrekker Road. • Be alert when travelling along Station Road. • Be alert when travelling along Klipfontein Road. • The corner of Prestwich Road and Ebenhezer. • Be alert when travelling along Vangaurd Drive. • Beware when travelling on the R300 under the bridges towards the N1 highway. • Beyers Naude Drive and Paul Kruger Street. • The R55 in Erasmia. • Be alert at the following streets, Burnett Street, Delfi Avenue and Garsfontein Road. • Be aware at traffic lights on Stormvoel. • Be aware at traffic lights on Watermeyer Street. • Be alert at traffic lights on Nelson Mandela Drive. • The crossing at Lynwood Road and Simon Vermooten. • The crossing at Lynwood Road and Hans Strijdom. • Be alert at traffic lights on Walker Street. • Be alert at traffic lights on Duncan Street. • The corner of University Road and Lynwood Road. • The Rigel Avenue off ramp from off the N1. • The Simon Vermooten Road crossing with Pretoria Street. • The Simon Vermooten Road crossing with Farrow Street. • The Simon Vermooten Road crossing with Lynwood Road. • The Lynwood Road on ramp from the N1. • The Hans Strydom off ramp off the N4 highway. • The intersection between Hans Strijdom and the R21. • The Atterbury off ramp off the N1. • Be alert at crossings by Pretorius Street. • The crossing at Schoeman Street and Duncan. • The crossing at Schoeman Street and Hilda. • The crossing at Schoeman Street and Grosvenor. • The corner of Kelvin Street and CR Swart. • The corner of Pretoria Road and CR Swart. • The corner of Elgin Road and Pretoria Road. • Linksfield Road off ramp off the N3. • Booysens Road off ramp off the M1. • The Nelson Mandela Bridge, be alert. • Wolmarans between Claim and Nugget. • The corner of Harrow and Saratoga. • The corner of Harrow and Abel. • The Houghton Drive off ramp off the M1. • The corner of Jan Smuts Avenue and St Andrews. •The corner of 17th Street and Krause Street in Pageview. • The Heidelberg Road Off ramp off the N17. • Traffic lights on Kyalami Drive. • The Beyers Naude offramp off the N1 highway. • Rivonia off ramp off the N1 highway in Sunninghill. • Midrand road near Clayville Residents. • The intersection of Grayston and Rivonia and the intersection of Grayston and 11th Street. • 11th Avenue and Empire Road off ramps. • The Jan Smuts Avenue/ William Nicol Drive split in Hyde Park. • Intersections on Witkoppen Road. • Bramley Precinct, areas such as Wynberg, Bramley, Marlboro and Kew. • Yeoville Precinct, areas such as Yeoville,Bellevue and Bellevue East. • The Norwood Precinct, areas such as Orange Grove and Highlands. • The Sandringham Precinct, areas such as Glenhazel, Lombardy East and Sandringham. • The Parkview Precinct, areas between 10th and 11th avenue and 4th and 7th Avenue in Parkhurst. • The Hillbrow Precinct, areas such as Upper Houghton and Killarney. • The Rosebank Precinct, areas such as Saxonwold and Parkwood. • The intersection between Christiaan de Wet and Wilgerood road in Roodepoort. • Louis Botha Avenue, the M11. Be aware at the traffic lights, especially between Hillbrow and Alexandra. • Riviera off ramp coming off the M1. • 11th Avenue in Fairland, near Fairland Ex. 6. • The corner of Pretoria Main road and 1st Avenue in Alexandra. • New road off ramp coming off the N1, be aware at the traffic lights. • William Nichol off ramp coming off the N1 highway. • Be aware along Alpine Road. • Be aware of crossings on West Street. • The corner of Warwick Avenue and Smith Street. A Chevrolet dealership has been raided by car thieves, leaving 48 vehicles, including many Camaro muscle cars, stripped of rims and tyres. Bizarre road-crime tactic in SA - a 'hijack doll'? 'On inspection it was noticed that the body was in fact not real and instead was comprised of clothing and bags rolled-up to look like one,' Arrive Alive reports on a possible new tactic by hijackers.